Last Thursday (26/01/17), representatives from KISA visited the Detention Centre of Irregular Migrants in Mennoyia and talked to the majority of the detainees, the Director as well as other members of staff of the detention facility. During our visit, we noted that the competent authority responsible for operation of the Centre, the Aliens and Immigration Unit (AIU), has taken various measures to improve detention conditions. At the same time, however, it has become clear that there are still significant problems, mainly stemming from the fact that the Civil Registry and Migration Department (CRMD) insists on the incomprehensible policy of issuing detention and deportation orders against migrants and refugees, for whom there is no immediate or possible way for them to leave the country. With regard to the detention conditions, the intended installation of necessary infrastructures (WiFi) for free access to the internet and of communal computers will contribute significantly to the resolution of communication and information issues faced by the detainees. At the same time, the intended creation of an interior exercise area for the detainees as well as the provision of training classes to detainees who are interested, will also contribute to keeping those who live at the Centre creatively occupied. Unfortunately, regarding the policy of issuing detention and deportation orders, we saw that the CRMD has not made a similar effort. More specifically, there are persons being detained at Mennoyia for whom there is no possible way to leave the country[i], as well as persons who belong to vulnerable population groups. Furthermore, the practice of re-arresting and detaining persons who have in the past been detained at Mennoyia, released for various reasons, but then the authorities failed to provide essential access to procedures for acquiring legal residence status. This stance by the authorities leads to rearrests of the aforementioned persons and creates a vicious cycle, which, aside from the humanitarian side of the issue, proves particularly costly for the state. The arrest and detainment of an asylum seeker with a disability (A.G.) forms a characteristic example of this incomprehensible and unacceptable policy of the CRMD. Mr A.G. is a Turkish citizen of Kurdish origin who was injured during the recent riots in Turkey, which resulted in him having to use a wheelchair to get around, even within Mennoyia. 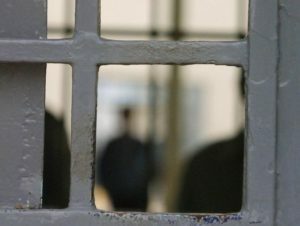 Yet another example of the CRMD’s inflexible policies can be seen in the arrest and detainment of a Palestinian (Μ.Χ) who is the husband of a recognised asylum seeker and father of three children. The authorities even proceeded to the arrest of Mr M.X. two weeks after his third child was born and while there are no prospects to remove him from the country. Further improvement of the current policy of issuing detention and deportation orders by the CRMD, such that it coincides with the efforts made to improve the detention conditions and the effective implementation of the principle that people should not be deprived of their freedom due to their residence status in the country. The immediate release of all persons belonging to vulnerable groups, as well as of all persons for whom it is not possible to realise the decision to deport including Mr A.G. and Mr M.X. mentioned above. [i] For example, detainees from countries such as Iraq and Afghanistan who do not hold travel documents, they cannot be deported because the embassies of these countries do not issue new travel documents.